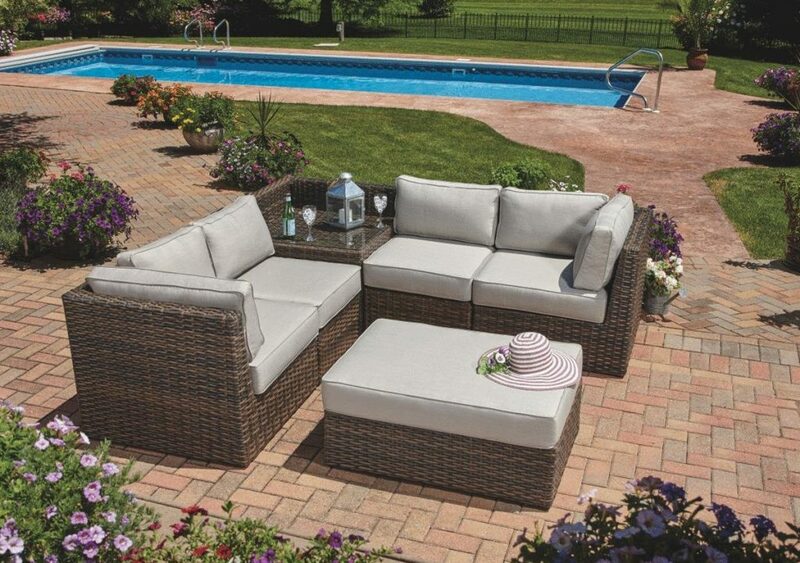 The Bellanova 5pc sectional features a high-density polyethylene resin wicker which makes it very weather resistant to Michigan’s hot summers AND cold winters. The frame is constructed of powder coated aluminum and is wrapped in a beautiful Aspen colored vinyl weave. The frame is topped off with a plush 6” cushion in a 100% non-fading Sunbrella Cast Ash fabric. You can also change configurations of the sectional to suit the needs of your space. Arm/side pillows shown are available for an extra charge of $129.00 a pair (not included in the sale price). Quantities are Limited!! !